Pasture Living: Eco-Friendly Laundry Detergents and Dishwashing Liquid and Ecover Zero Product Reviews and A Giveaway! 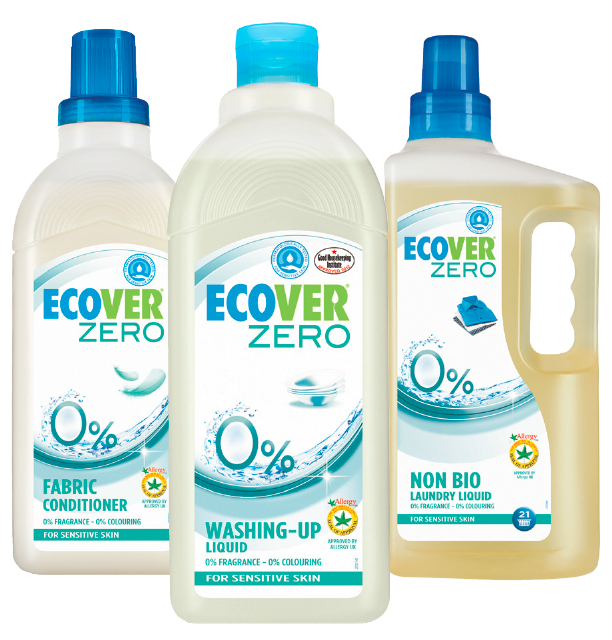 Eco-Friendly Laundry Detergents and Dishwashing Liquid and Ecover Zero Product Reviews and A Giveaway! Many of us, including myself, wash dishes, do laundry, and clean the house on regular basis. It is a chore that we don't think much about anymore. But have we ever wondered what happens to all the water that go down the drain? Toxic waste from chemical-filled household products makes its way to the sewer and continue into the soils and ground water, polluting the environment and harming aquatic life, which then comes back right at us when we consume them as food. My family has been trying to make our own household cleaners as much as we can, including all purpose cleaner and floor cleaner. But making everything natural is not always easy. I've succeeded in some, and I have also failed, wasting all the ingredients I bought for those specific purposes. Some others I'm just too intimidated to try, including making my own laundry detergents and dishwashing liquid, because I'm afraid the result will not be effective and disappointing. I want my laundry clean and plates sparkling and I just don't have the confidence that homemade detergents and dishwashing solutions can give me this result. Thus, I have to resort to using gloves when I wash the dishes to protect my hands from itch and rashes from the harsh water and chemicals. - It is biodegradable - quickly and completely, leaving no residue behind. - It is dermatologically tested, for sensitive skin. - Phosphate-free: Phosphates pollute the water and endanger aquatic life. - It is eco-friendly: Their packaging are made using Plant-Pastic - a renewable, reusable and recyclable plastic made of sugarcane, which spares the oceans a tsunami of plastic litter. And because it is phosphate-free, it does no harm to the waterways of the world after it's been washed down the drain. - Doesn't contain foam boosters and optical brighteners: Foams don't necessarily clean any better and optical brighteners only create an illusion that our laundry is clean, but they actually do not enhance cleaning performance and they do not biodegrade completely. - It uses eco-surfactants: Surfactants is an active ingredient used to give great cleaning results. Ecover uses plant based alternatives instead of harmful petrochemical-based surfactants found in many conventional household cleaners. - Preservatives used are naturally derived and/or Ecocert approved. - Through continual research and development, Ecover ensures their products use more and more renewable science, leave fewer unwanted residues, biodegrade even more quickly and have less impact on aquatic life. I had the privilege to try Ecover Zero's Washing Up Liquid and Laundry Liquid and I'm completely satisfied with its effectiveness and cleaning power. My plates are squeaky clean and laundry fresh. Not only they are eco-friendly, they don't irritate my skin, they don't have any overpowering fragrance (just the way I like it), and they do their job well! I have spent a lot buying conventional "baby" detergent and dishwashing liquid to wash baby clothes and bottles before and I can guarantee that they are not as safe and eco-friendly as we think. Now that I know about Ecover Zero, I have no reservation in using their products to wash any of my things, including baby things. This range also carries Fabric Conditioner to soften fabrics, should you choose to use it. Amazingly, even Environmental Working Group (EWG), the non-profit organization that rates household and cosmetic products, gives this Laundry Liquid a smashing A! That means it's one of the best one out there. (There was no rating for the Washing Up Liquid). To have a green product that works as effectively as its non-green counterparts, which means being kind to our skin and to this earth God has entrusted to us, what more can I ask for? Ecover products are available in all Home-Fix Singapore outlets. They are giving a 20% discount (expire on 31 August 2014) exclusively for Pasture Living readers when you shop on their website (Discount Code: ECV20PL). 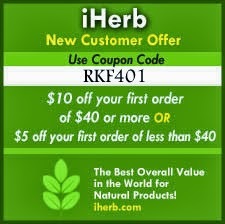 iHerb also carries selected Ecover products, but not as extensive as Ecover's own website and retail stores. 3. Comment on this post on why you'd like to win Ecover's Washing Up Liquid and leave your email address. If you are uncomfortable leaving your email publicly, send me a message through Pasture Living Facebook page. This giveaway will end on 6 July 2014 Singapore time and the winners will be announced through email. Open to Singapore residents only. Disclaimer: Ecover sponsored the above products for reviews, no compensation was received and all opinions are my own. I began to switch my household and personal products gradually to organics - non chemicals. As I realized most of the products sold contain some toxic, non safe ingredients (even foods). It would be fantastic if I could win this Ecover Washing Up Liquid. Just like what Vicky mentioned all the benefits of using this product. Most importantly it is safe to use for my family. This is what I have been looking for ! I have a very sensitive hand skin that I couldn't use chemical dishwashing liquids, they would make my skin so itchy, dry and painful. As mentioned by Vicky, I will be very happy if I can use the same Ecover Zeros washing liquid safely both for our plates and our babies bottles/plates. I hope to win this to have a try on this great natural product ! Thanks for this information and giveaway contest. Hi Vicky, thanks a million for sharing this product to us. I really wish to win this giveaway and try it out and hopefully to see solution to my sensitive skin issues. Thank you again! This sounds... Too good to be true! I'd like to try it for myself. If it proves itself, I will switch over to Ecover for my household cleaning products. The eco-friendly, natural ingredients products such as Ecover Zero laundry detergent and dishwashing liquid would be perfect to treat my sensitive skin and reduce my allergic symptoms! I can't wait to try your products and be amazed!